lots 10 personnages différents 1/43 pour miniatures ou dioramas 1/43eme. Manufacturer: NOREV. Toyota Prius 1997. Scale: 1:43. Appurtenance: Base, Display case. Condition Details: Without a box. Manufacturer: NOREV. Toyota Carina 1970 Blue. Scale: 1:43. Condition: Used (Near mint). Appurtenance: Base, Display case. Condition Details: Without a box. The item is secondhand but is in very good condition. Manufacturer: NOREV. Subaru Impreza WRX STI 2004. Scale: 1:43. Condition: Used (Near mint). Appurtenance: Base, Display case. Condition Details: Without a box. The item is secondhand but is in very good condition. Mazda Atenza 2008. Manufacturer: NOREV. There is white discoloration in the display case. (See photo). Scale: 1:43. Condition: With Defect. Appurtenance: Base, Display case. Only model cars are in very good condition. Manufacturer: NOREV. Nissan Laurel 1968. Scale: 1:43. There is a little paint bubble in the right rear door. Appurtenance: Base, Display case. Condition Details: Without a box. Datsun Sunny Coupe 1200GX 1970. Manufacturer: NOREV. Nissan Collection No.35. Scale: 1:43. Appurtenance: Base, Display case. Condition Details: Without a box. Manufacturer: NOREV. Scale: 1:43. Condition: Used (Near mint). Appurtenance: Base, Display case. Condition Details: Without a box. The item is secondhand but is in very good condition. Manufacturer: NOREV. Hino Contessa Coupe 1965. Scale: 1:43. Appurtenance: Base, Display case. The item is secondhand but is in very good condition. Condition Details: Without a box. Mazda Atenza Sport Wagon 2008. Manufacturer: NOREV. Scale: 1:43. Appurtenance: Base, Display case. Condition Details: Without a box. Manufacturer: NOREV. Mitsubishi Lancer Evolution X 2007. Scale: 1:43. Condition: Used (Near mint). Appurtenance: Base, Display case. Condition Details: Without a box. The item is secondhand but is in very good condition. Manufacturer: NOREV. Subaru Impreza WRX STI 2006. Scale: 1:43. Condition: Used (Near mint). Appurtenance: Base, Display case. Condition Details: Without a box. The item is secondhand but is in very good condition. Manufacturer: NOREV. Honda Life 1972. Scale: 1:43. Appurtenance: Base, Display case. Condition Details: Without a box. The item is secondhand but is in very good condition. Manufacturer: NOREV. Isuzu Gemini 1987. Scale: 1:43. Condition: Used (Near mint). Appurtenance: Base, Display case. Condition Details: Without a box. The item is secondhand but is in very good condition. Manufacturer: NOREV. Mazda Carol 360 1962. There is a crack in the painting of the roof. Scale: 1:43. Appurtenance: Base, Display case. Condition Details: Without a box. Other than that, it is a very good condition. Manufacturer: NOREV. Nissan Collection No.56 Cube 2003. Appurtenance: Base, Display case. Scale: 1:43. Condition: Used (Near mint). Condition Details: Without a box. The item is secondhand but is in very good condition. Manufacturer: NOREV. Nissan Cube 2003. Appurtenance: Base, Display case. Scale: 1:43. There are small bubbles in the left window. (See photo). Condition Details: Without a box. Manufacturer: NOREV. Silvia 2000 Turbo RS-X 1983. Nissan Collection No.16. Scale: 1:43. Appurtenance: Base, Display case. Condition Details: Without a box. Manufacturer: NOREV. Nissan Gazelle 1979 Black. Scale: 1:43. Condition: Used (Near mint). Appurtenance: Base, Display case. Condition Details: Without a box. The item is secondhand but is in very good condition. CAT CD9G GESCHA : Barre de torsion noires, à recoller. - CAT C955K boite NZG. - CAT C621 NZG 1:50. - CAT C627 NZG 1:50 1 : Cheminée cassée. - CAT C627 NZG 1:50 2. - CAT C769 B GESCHA : Traces dans la benne. Manufacturer: NOREV. Nissan Collection No.37 Gazelle Coupe 1983. Scale: 1:43. Appurtenance: Base, Display case. Condition Details: Without a box. Manufacturer: NOREV. Mazda Savanna Coupe GT 1972. Scale: 1:43. Appurtenance: Base, Display case. (See photo). Condition Details: Without a box. 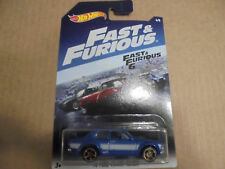 New ListingLOT OF (10) DATSUN HOT WHEELS,DATSUN 510 WAGONS & CARS,DATSUN 620,DATSUN 240Z!!! LOT OF (4) 2018 DISNEY MICKEY MOUSE HOT WHEELS,#2,3,4 6,HW DISNEY MICKEY MOUSE! SUNTORY Coffee BOSS. This is an official and bonus item of SUNTORY Coffee released in 2010, Japan. 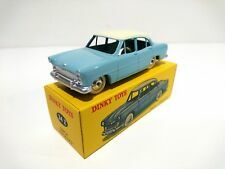 Pull Back Diecast Mini Car Model. BMW 2002 turbo. Premium Car Collection. Vintage mixed Yatming diecast Hotwheels Tootsie Majorette Johnny Lightning Lot. Condition is Used. Shipped with USPS Priority Mail. ASAHI WONDA Coffee. This item was bonus for WONDA Coffee released in 2008, Japan. Pull-Back WRC Rally Japan 2008 Collection. SUBARU Impreza WRX STI. ASAHI WONDA x TAKARA TOMY. This is an official and bonus item of ASAHI WONDA Coffee released in 2009, Japan. NISSAN SKYLINE GT-R R32 V-spec II. Mini Mini Choro-Q GT-R Collection. SUNTORY BOSS Coffee x TAKARA TOMY. This item was a bonus for SUNTORY BOSS Coffee released in 2007, Japan. Mini Mini Choro-Q Collection. Working Car Series. Model - length 1.2" (30mm). Manufacturer: NOREV. Nissan Figaro 1991. Scale: 1:43. Condition: Near mint. Appurtenance: Base, Display case. Condition Details: Without a box. Lot of Vintage Miniature Die Cast metal items Train, Trolley, car, plane. Condition is Used. Shipped with USPS First Class Package. Lot of sorted 3 unique Miniature items. Most items on lot are cast metal. The stop sign are plastic. Assorted lot, all detail shown in pictures. Please ask any questions prior to placing a bid. Please refer to the nickle in the photographs for size comparison. All sales are final, no returns are accepted. If an item arrives damaged, please send photos along with your claim and you may be entitled to a refund. SUNTORY Coffee BOSS. This is an official and bonus item of SUNTORY Coffee released in 2010, Japan. 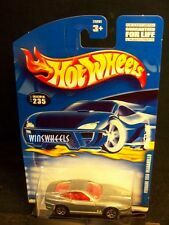 CAMARO SS 2002. Pull Back Mini Car Model. Great Car Collection. SUNTORY BOSS Coffee. This is official product and was bonus item for SUNTORY BOSS Coffee in 2008, Japan. Luxury Car Selection. Mini Car Model. Model - length 1.8 (45mm).